Zlatko is a Director with over 25 years’ experience specialising in the design and delivery of residential, workplace and mixed-use developments. Zlatko graduated at the University Zagreb School of Architecture in Croatia and joined EPR in 1988. Zlatko has extensive experience across a diverse portfolio of projects including, Aldermaston Park Masterplan a manor house refurbishment and new residential villas within an ancient park, the refurbishment, re-cladding and extension of an existing building in Carnaby Street and the recently completed multi-award winning retail and commercial building at 24 Savile Row in Mayfair. Earlier projects include being part of EPR Architects international team Architecturo, which won the Lisbon EXPO HQ building competition entry, Phase 1 of Greenwich Millennium Village, which was one of Europe’s largest regeneration developments and the interior design of EPR Architect’s studio at 30 Millbank, London. 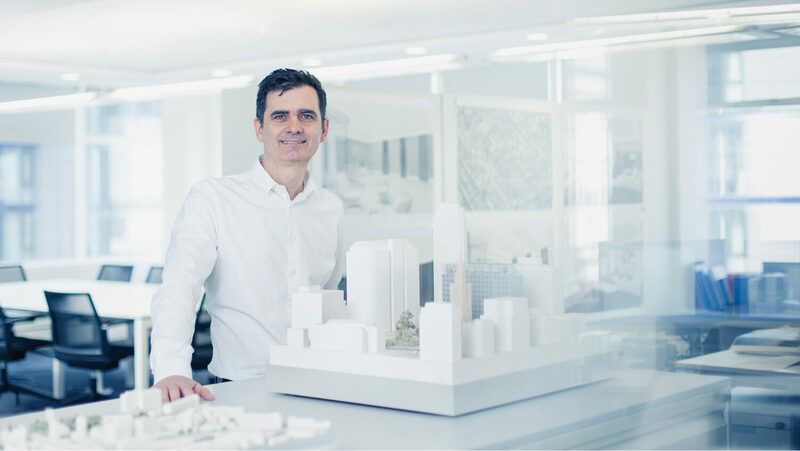 Zlatko has also developed the architectural design and urban planning of major projects such as American Express in Brighton and The Ram Quarter regeneration project in Wandsworth. Zlatko is also a member of our practice’s design review panel and a judge for the WAN Awards.